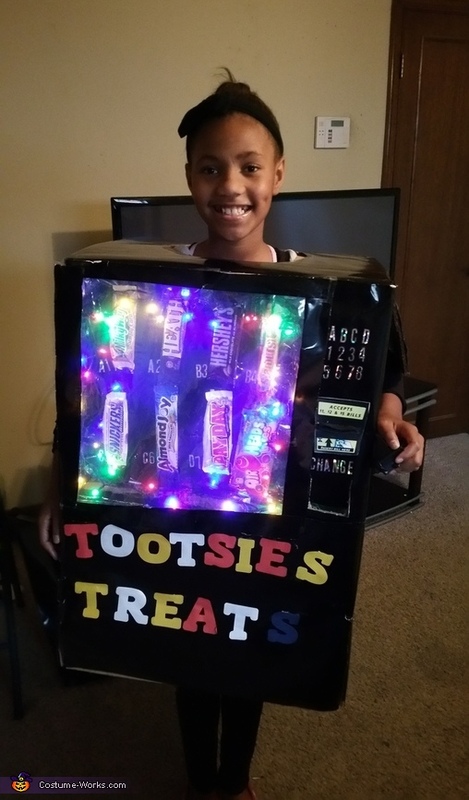 Taliyah Parker is wearing a vending machine costume. She researched costumes and said that she wanted to be a vending machine. I wanted people to see the candy inside so I added led lights that are battery operated.